The state’s Assembly Speaker confirms that federal investigators are looking into some of his actions while he was head of the Bronx Democratic Party, but he says he’s done nothing wrong. Speaker Heastie says he knew he’d be under scrutiny when he became Speaker, after his predecessor Sheldon Silver resigned over corruption charges. Silver has been sentenced to 12 years in prison. Heastie says he’s not surprised at the probe by the US Attorney into all of his financial transactions for travel , diners and other expenses when he headed the Bronx Democratic Party. The probe was first reported in the New York Daily News. But he says he doubts persecutors will find anything amiss. 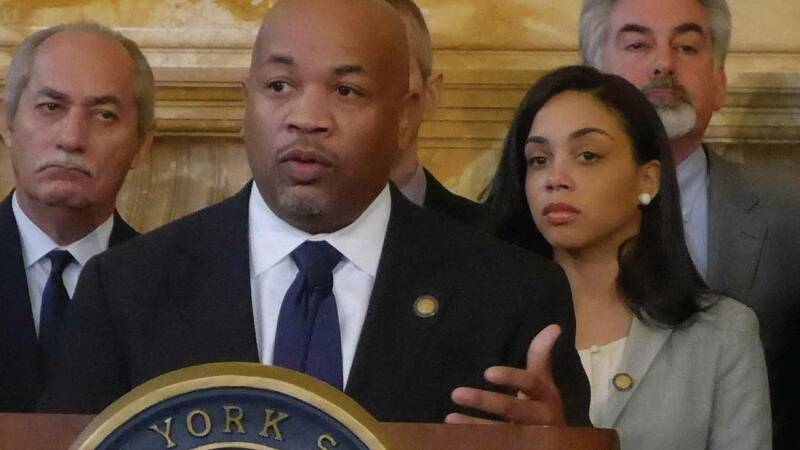 Heastie also defends his practice of using campaign funds to pay for repairing and driving his car while at home in the Bronx, saying it’s allowed because he was on political business at the time.